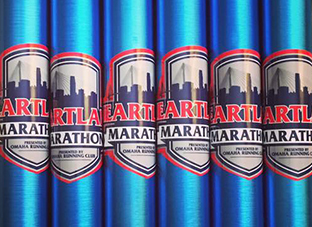 The Marathon Relay is a great way to participate in the Heartland Marathon with friends. Teams of three to five participants will split the full marathon route. The length of each leg varies and ranges from approximately four to six miles. What is a marathon relay? Teams participating in the Marathon Relay can have up to five team members. The course will be divided into legs of varying lengths so that runners of different abilities can form a team. How many team members are on the Marathon Relay? Marathon Relay teams must have at least three, and no more than five members. What is the Marathon Relay route? The route for the Marathon Relay will be finalized after the course approval is received. What are the relay exchange points? Is transportation provided to the relay exchange points? Runners are responsible for getting to the exchange points. All event participants will receive a Heartland Marathon finisher medal. Awards will be given to the top three relay teams.